What is OTG flash drive? 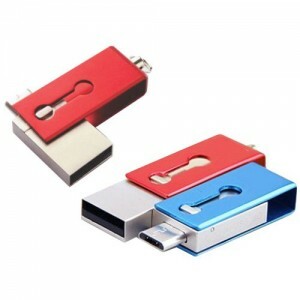 USB On-The-Go, often abbreviated to USB OTG or just OTG, is a specification first used in late 2001 that allows USB devices, such as digital audio players or mobile phones, to act as a host, allowing other USB devices, such as USB flash drives, digital cameras, mice or keyboards, to be attached to them. Use of USB OTG allows those devices to switch back and forth between the roles of host and client. For instance, a mobile phone may read from removable media as the host device, but present itself as a USB Mass Storage Device when connected to a host computer. In other words, USB On-The-Go introduces the concept of a device performing both master and slave roles – whenever two USB devices are connected and one of them is a USB On-The-Go device, they establish a communication link. The device controlling the link is called the master or host, while the other is called the slave or peripheral. If this did not catch you by surprise, that means you may already be using it or have seen someone using this. Oh yes, this is one useful piece of storage device. 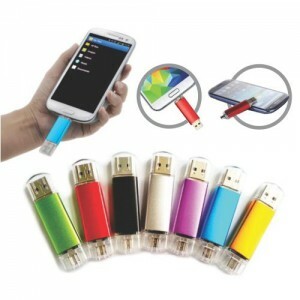 Widely used by Android smartphone owners to store their data mobile and quickly transferable from one device to another. 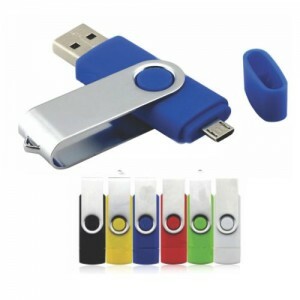 It is so useful that it has grown increasingly popular in our corporate gifts industry, purchased by companies with the powerful purpose of marketing their brand or products through giving away an OTG USB flash drive imprinted with their company or brand logo on its body. Imprint of company or brand logo can be achieved with silkscreen printing method or laser engraving. For one, perceived as an expensive gift, recipients of this gift feel honoured and appreciated. For another, the usefulness of this storage device to the recipient then makes it even more complete when the brand or product name is repeatedly seen by the recipient (target customer). The minimum order quantity starts at 100 pieces and it comes with a vibrant range of colours for you to choose from and if you need the plastic case to follow your Pantone colour code, we would be glad to assist you on your request. 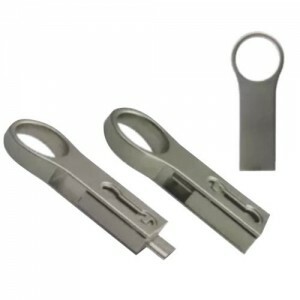 The common capacity for the corporate-gifting USB flash drives would be 8GB but if you need anything more or less than this capacity please do not worry – we have it: 4GB, 8GB, 16GB, 32GB and 64GB. 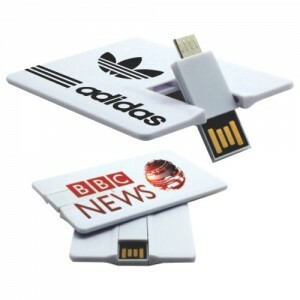 Visit www.easydrive.com.my for more cool USB flash drives! USB OTG has 2 connecting point, one is to connect to your mobile device and the other is to your computer USB point. Most of the mobile phone released within last 2 years come with OTG compatibility. If you don’t have the original packaging to hand, you can consult your mobile phone retailer for more information. USB On-The-Go – a specification of the USB standard which allows a mobile device to have USB peripherals connected to it. Most recent Android smartphones and tablets are USB OTG-friendly and would recognize a USB flash drive when one is connected to them. This is useful for moving stuff between devices, or for using the same collection of files across a computer and a mobile gadget. What makes things even better is that these fancy USB OTG-compatible flash drives are pretty affordable.